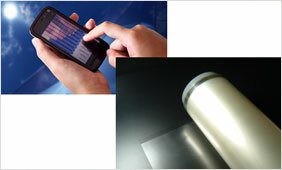 Tomoegawa is an industry leading provider of surface film lamination and adhesive bonding services for optical products. We work in partnership with manufacturers of flat panel LCD, PDP, and touch screen displays to support the development of innovative products that meet the performance characteristics their marketplace demands. Inside of our facility, we maintain clean and controlled environmental conditions, which allow us to apply uniform 1 µmm–100 µmm thickness of adhesive bonding material to panels with dimensions of up to 1,550 mm in width and 5,000 in length. Our integrated technology also enables us to process optically clear adhesives on hard coat materials, and we are capable of laminating PET films up to 50 µmm in thickness to provide the ultimate protection from damage and wear. Able to process minimum lot sizes of 5,000 units within a 1-3 month turnaround, our advanced technology coating services provide well-engineered solutions for optical display performance and longevity. Contact us today to learn more. 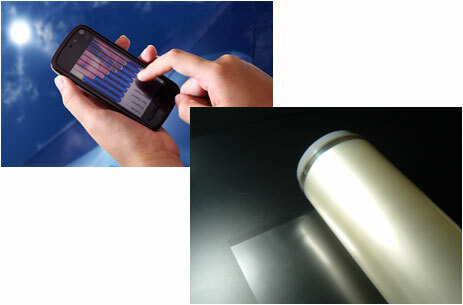 Can process OCA (optical clear adhesive) on HC (Hard Coat) film by our integrated technology. Coating process in high clean conditions in order to create even thickness adhesion thickness evenness between 1 micron mm to 100 micron mm.